Limbaugh Toyota also offers professional Toyota Service and the ToyotaCare Maintenance Plan at our state-of-the-art service facility located at 2200 Ave “T”, Birmingham, AL 35218. If you’re having problems with your vehicle, our car repair experts will diagnose your vehicle’s problem, and make a repair as quickly as possible. Even if all you need is new tires, we can help you with that, too, since we are a leading seller of tires in Birmingham and serving the Cullman, Warrior, and Gardendale areas of Alabama. Schedule Service for your vehicle by completing our online Service Appointment Form or by contacting our Service Center at (877) 983-0500. Non-factory warranty, good at participating dealerships. For Unlimited Time! Unlimited Miles! No Additional Charge! We Are Conveniently Located 4 Minutes from Downtown Birmingham! Limbaugh Toyota in Birmingham, Alabama is a locally owned and operated Toyota dealer that caters to residents from all across Birmingham and Central Alabama. Limbaugh Toyota’s philosophy is simple – offer our best product and service at our best price possible. We currently have over 100 employees ready to meet all your needs, including the Toyota Body Shop. 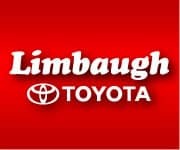 Limbaugh Toyota is the car dealership to visit for high-quality vehicles and excellent customer service. Test drive a new Toyota today at Limbaugh Toyota. Find deals on top favorites like the Camry, Corolla, Tundra, Prius, and RAV4. Drivers don’t have to compromise quality when shopping for a used vehicle from Limbaugh Toyota. We carry a large inventory of certified pre-owned and used vehicles. Not sure which model is right for you? Limbaugh Toyota offers the Try Before You Buy Program, allowing you to rent our most popular models before making your decision. The perfect car or truck is waiting for you at Limbaugh Toyota. Don’t worry about the financing details, we deal with a wide variety of lending sources to ensure you will get the most complete comprehensive car loan and auto financing available. If you’d like to see a vehicle in person, click on Directions for a map to Limbaugh Toyota, or give us a call at (205) 780-0500. We look forward to serving you! Limbaugh Toyota is convenient to everywhere, located only minutes from the heart of downtown at Exit 120 off I-59. Since 1989, Limbaugh Toyota has been serving our customers just like family, and the tradition continues better than ever.